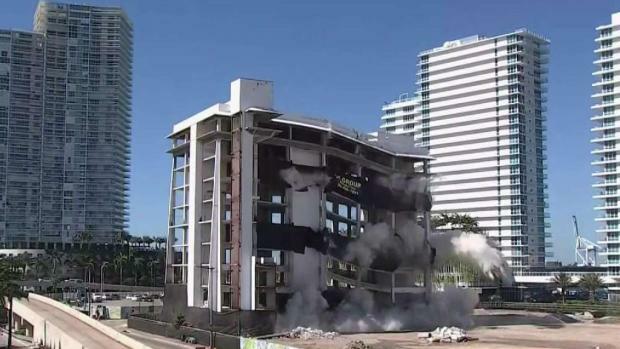 Miami Beach's South Shore Hospital, which has been abandoned for over a decade, came to the ground after an implosion Tuesday morning. The event took place just after 10 a.m. in the 600 block of Alton Road. Alton Road was closed between Fifth and Seventh streets beginning at 9:45 a.m.
NBC 6's Julia Bagg has more as the former South Shore Hospital came to the ground in a matter of seconds. It took around 10 seconds for the building to collapse. Dust settled in the area for four to six minutes. The hospital, which began operation in 1968, closed in 2006. Plans are in the works to develop a high-rise condo building and public park in the spot. "We now have an approved development plan that will deliver to our City a beautiful three acre public park that will forever change the character of the neighborhood in a positive way," Miami Beach Mayor Dan Gelber said in a statement. 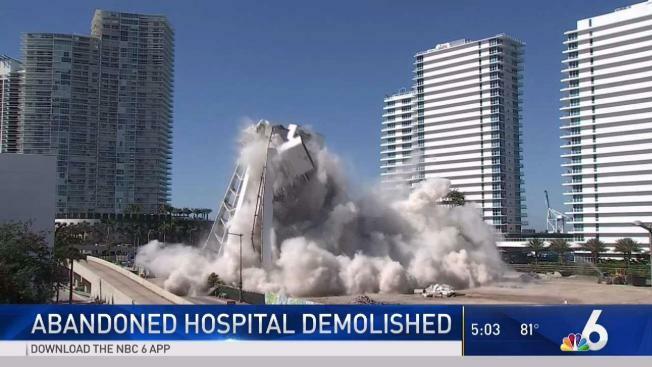 NBC 6's Julia Bagg describes the moments when the South Shore Hospital came down Tuesday.